Set LUCI Live, which is at 192.168.1.102 , to connect to the other: 192.168.1.100 at port 5010. If your network uses computer-names you can also use these names instead of the ip-address. 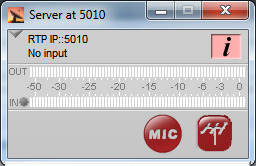 So if for instance 192.168.1.100 is a computer called “intcomp1” you can also fill in “intcomp1:5010”. If your network uses a DHCP-server, using the computer-names is also the best way to connect. 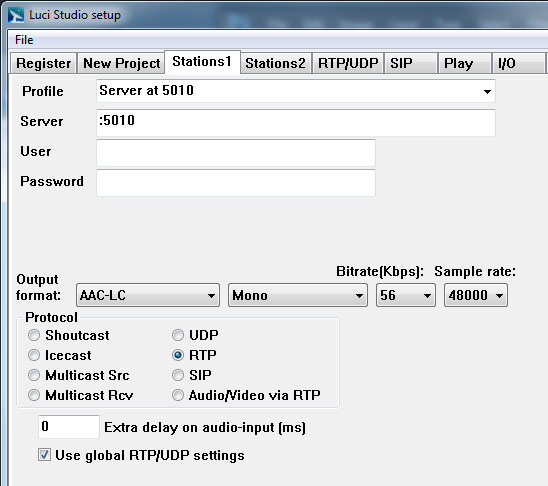 Set LUCI Studio, which is at 192.168.1.100, to listen for incoming streams at port 5010. All you have to do is to not fill in the name or address of the server like on the left.